Feed four of our silly friends – Timmy, Peppi, Sammy the Sasquatch and François the robotic chef. 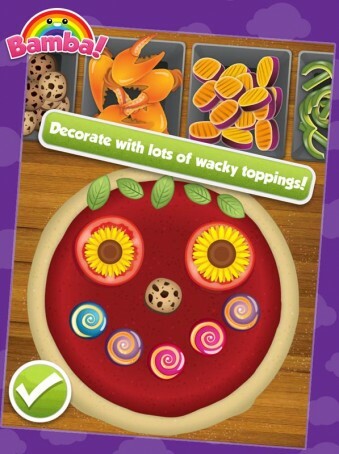 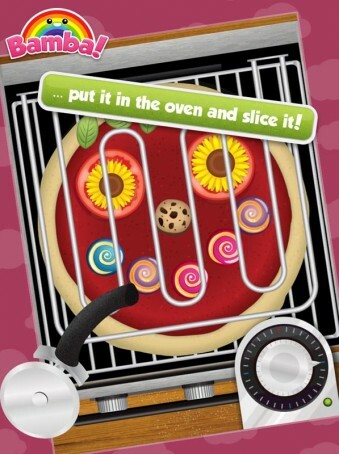 Interactive pizza making – roll out the dough, flip it and slice it! 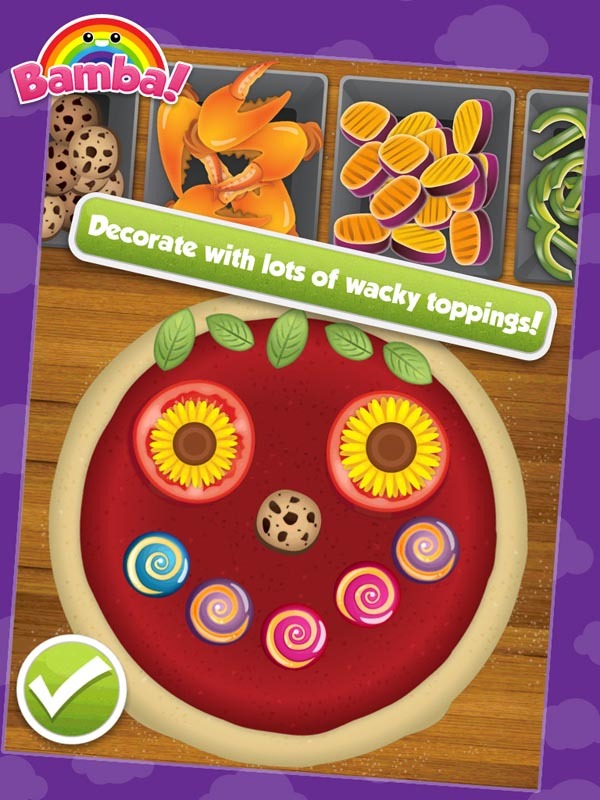 Bamba Pizza is an interactive toy designed for kids. 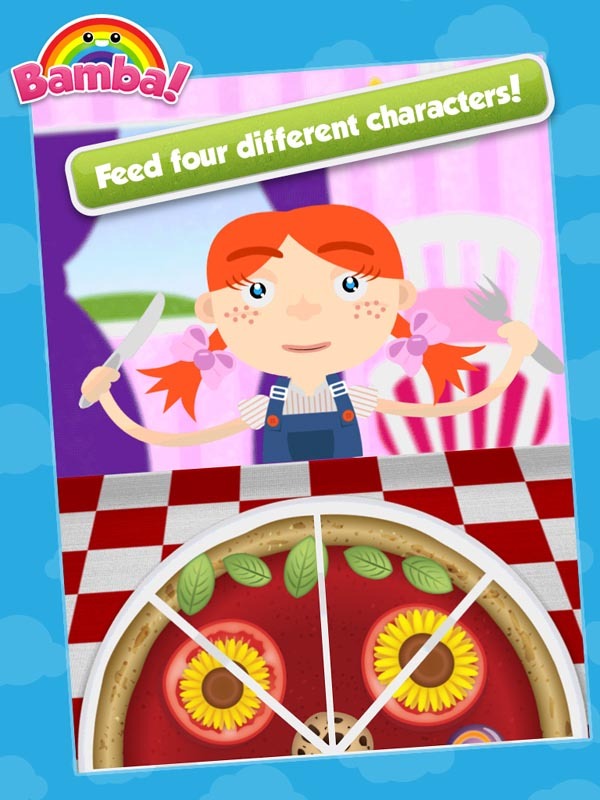 There are no scores, complicated interfaces or stressful time limits. This game is great to play alone or with an adult. 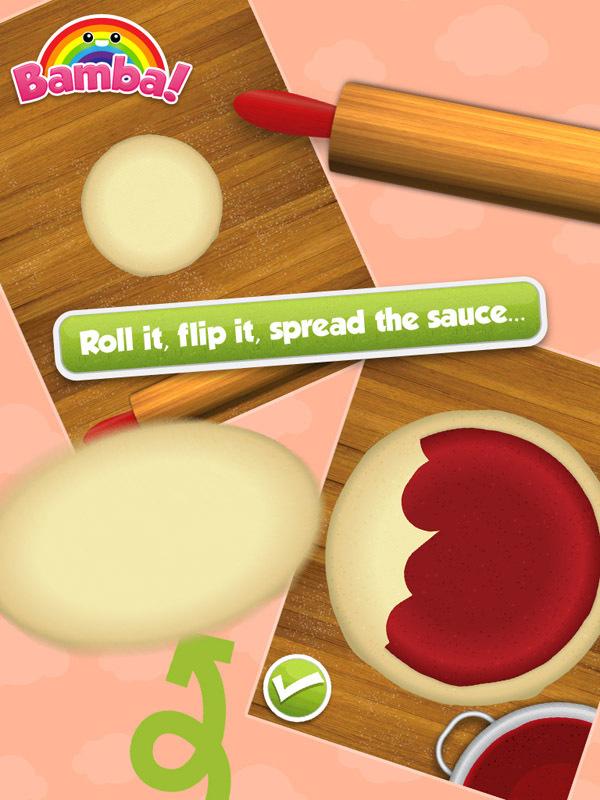 A free ad-supported version is available on the App Store!